Geneva Grace Stratton was born August 17, 1863 in Largo, Wabash County. While close to many of her 11 siblings, Gene spent much of her time alone playing outside. Her exploration of the Wabash woods and Limberlost swamps resulted in the study of local wildflowers and wildlife, and contributed greatly to her future as one of Indiana's most renowned authors. 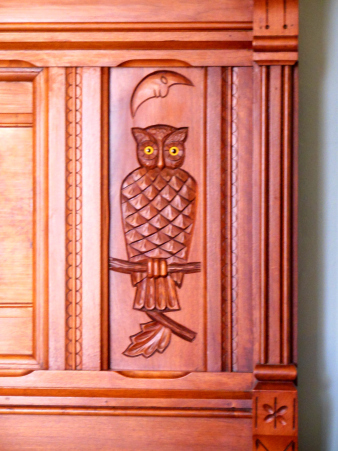 Although Gene Stratton's environmental and literary interests are rooted in her earlier years, it is her later years that are most documented and studied. After meeting and marrying druggist Charles Porter, moving to Decatur, Indiana, and bearing their only child, Jeanette Stratton-Porter, Gene became bored and confined within her home. 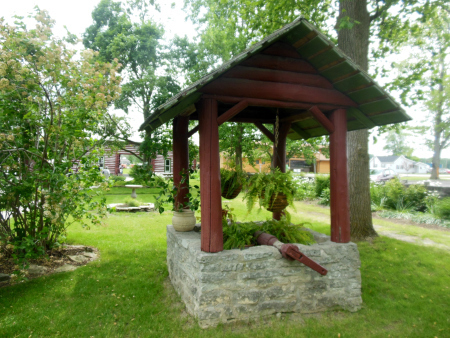 The small family moved to Geneva to be closer to one of Charles' businesses, and, when the small cottage they moved into proved too small, the Stratton-Porter family began construction on the Limberlost Cabin; in 1895 it was complete. Gene was elated to be back home in her beloved Limberlost swamp, and she resumed her childhood explorations, this time with her mature questions. However, she was unable to seek out current information on the native species within the local area: naturalists in that time were apparently unconcerned with the same things she was. Already doing much more than women were thought to be allowed to do in that time by tromping through the woods, Gene continued to be stereotypically unladylike: instead of leaving her questions unanswered and returning to the cabin to do housework, Gene decided to study the local species herself, photographing and recording the results. Thus began Gene Startton-Porter's career as a naturalist, photographer, and writer. She compiled manuscripts of non-fiction work, eventually making a deal with her publishers that she would write works of fiction to help pay the publishing costs of the naturalist writings. Her photos were of such quality that, when asked what her secret was by a Kodak representative, she declined to admit her darkroom was her bathroom, and the photos dried on turkey platters. After the publications of many of her works, Gene Stratton-Porter rose to fame in Geneva. The attention from fans became too much, so the family moved in 1912 to Sylvan Lake in Rome City. They again built the house of their dreams, naming it Wildflower Woods. The family remained there until the construction and desecration of the surrounding area was no longer bearable, when they then moved to California. Here, Gene Stratton-Porter continued to write, began publishing her poetry, and produced some films based on her previous works. She lived here until the age of 60 when, on December 6, 1924, she passed away from fatal injuries incurred in a car accident. - The Song of the Cardinal (1903): her first novel, and was inspried by a cardinal found dead from sport. - Freckles (1904): set in the Limberlost, an orphan must protect the swamp. - At the Foot of the Rainbow (1907): two boys with very different environmental views live on the Wabash River. - A Girl of the Limberlost (1909): this novel helped make both Geneva the town and Geneva the girl famous; a girl must find insects in the Limberlost to pay for her schoolbooks. - The Harvester (1911): a man lives in the woods and collects plants for medicinal use, selling them to chemists. - Laddie: A True Blue Stoy (1913): this novel mirrors much of Gene's life, as it follows a young girl whose older brother is a strong influence on her environmental development. Gene Stratton-Porter was very close to one of her brothers, Laddie, who drowned in 1872, and the novel serves as an unofficial autobiography of Gene. - What I Have Done With Birds: Character Studies of Native American Birds (1907): a non-fiction work that chronicled a 5 year study of native birds of the Limberlost. - Birds of the Bible (1909): Stratton-Porter dissects biblical passages and psalms that mention birds. - Music of the Wild, with reproduction of the performers, their instruments and fesitval halls (1910): a non-fiction work split in 3 sections based on the habitat of the birds. 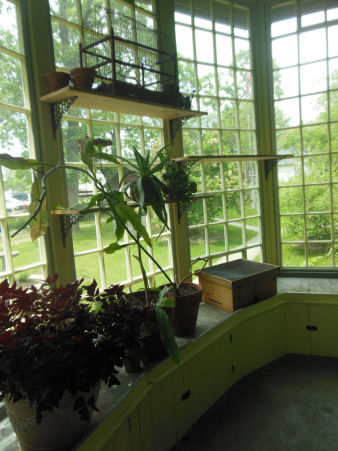 - Moths of the Limberlost (1912): chronicles Gene's time raising, studying, and photographing moths, an insect she had a special connection to and particularly loved. - Homing with the Birds (1919): this non-fiction work starts with Gene's connection with birds in her adolescent years, and continues into her adulthood. This was written after leaving Geneva, and the underlying tone argues for environmental concern. - Wings (1923): dicusses natural history of birds and Stratton-Porter's experience with them. - Tales You Won't Tell (1925): published after her death, this non-fiction work was a collection of stories about Gene Stratton-Porter's field work. - Let Us Highly Resolve (1927): this book of environmental essays chronicles how the Indiana environment has changed. Gene Stratton-Porter also wrote and published many magazine articles, including "Why the Biggest One Got Away", Bird Architecture", "Photographing the Belted Kingfisher", "A Study of the Black Vulture", "Sight and Scent in Birds and Animals", "The Music of the Marsh", "Under My Fig Tree", "Why I Wrote A Girl of the Limberlost", and "The Healing Influence of Gardens". For more in-depth summaries of her works and information on Gene Stratton-Porter's life, please visit Our Land, Our Literature. 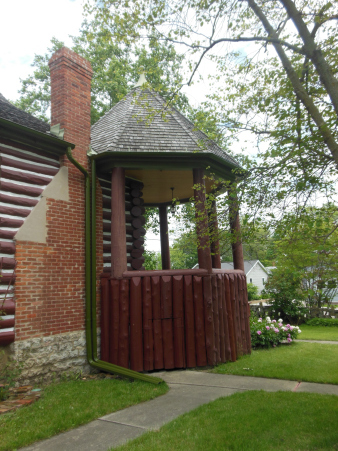 Located at 202 East 6th St., the Limberlost Cabin was completed in 1895. 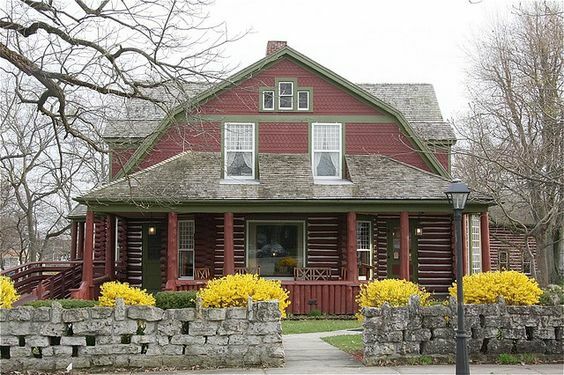 Designed by Gene Stratton-Porter, the rustic Queen Anne 2-story cabin was made from Wisconsin white cedar and used red shingles for its roof. 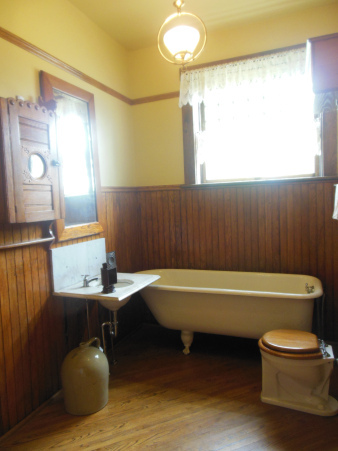 It has 14 rooms, a wrap-around porch, and was finished in both Victorian and Arts and Crafts styles. Gene and her family, husband Charles Porter and daughter Jeanette, lived there from its completion in 1895 to 1913, when they moved to Rome City. 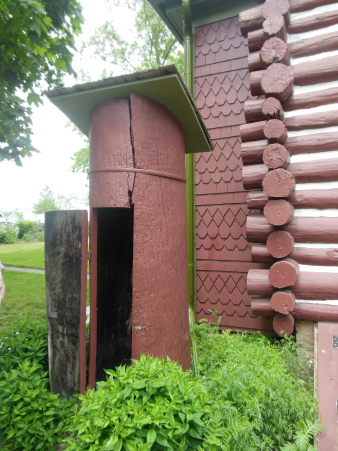 ​Today, the Limberlost Cabin is now known as the Limberlost State Historic Site, and was placed on the National Register of Historic Places in 1974. 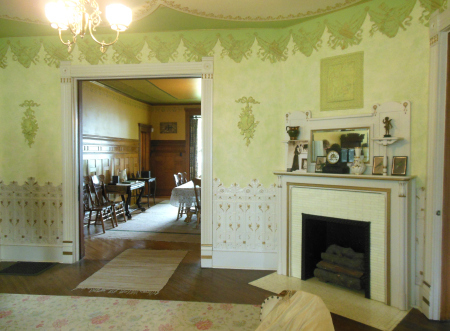 It is currently operated as a state house museum, and hosts town events when applicable. 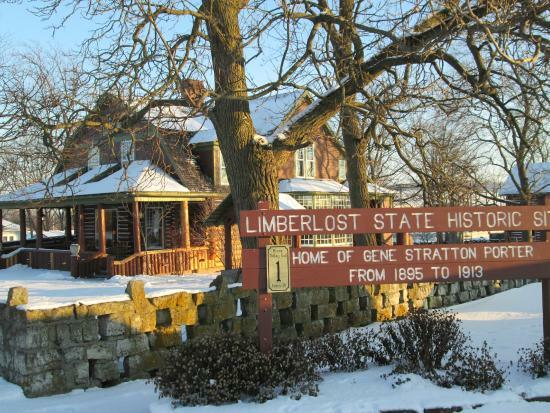 For more information on the Limberlost State Historic Site, please visit Indiana State Historic Museum Site.